Up for a challenge? 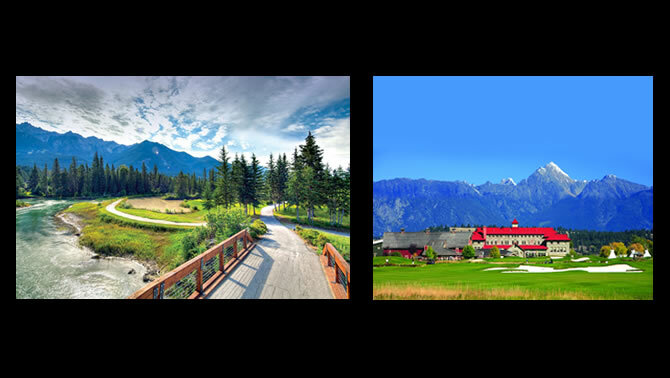 Home of beautiful scenery, Kootenay area golf courses also have some of the longest yardages. 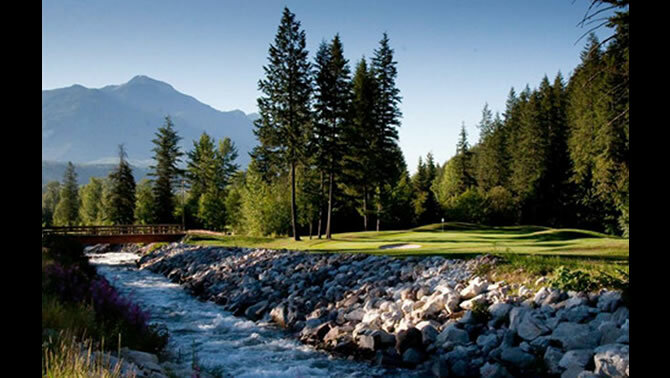 So what are the longest golf holes in the Kootenays? 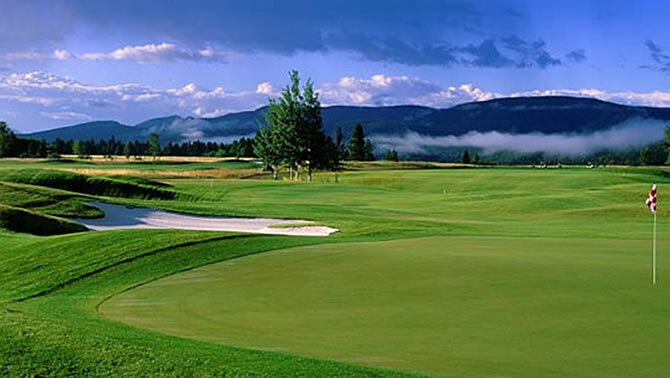 In fact, what is the longest hole in the Kootenays? 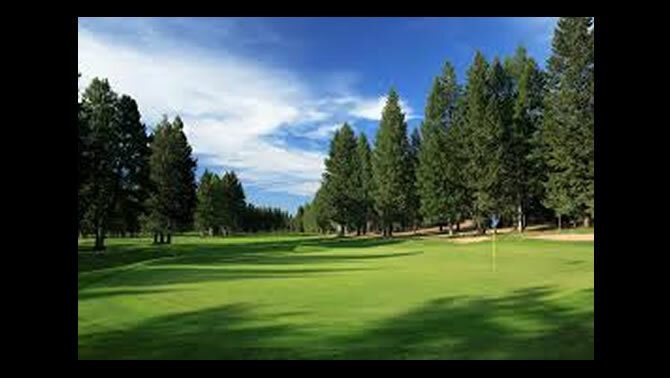 Often the signature hole of a golf course, the longest golf hole on any golf course can be the most memorable for golfers. Players love to load up and blast away with their Big Berthas or their latest Nike driver. Use golf clubs with flex that works for your strength and distance. Make sure you have a strong grip on the club. Get in a good position for the swing—legs shoulder-width apart, knees slightly bent and both legs and shoulders lined up parallel to your target. Position ball correctly—opposite your back foot's instep and increase your swing speed to reduce slice and increase distance. This is the longest hole in the Kootenays. It runs along the south east edge of Bootleg Gap and has a prominent tree midway that needs to be avoided. A slight dogleg to the right with a large fairway bunker on the right and two sand traps protecting the green. 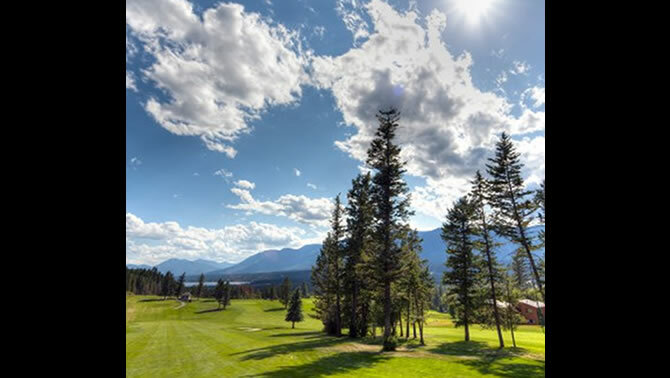 The second longest hole in the Kootenays hooks slightly to the left with trees lining the fairway on both sides. Redstone is a Les Furber design and is definitely player friendly while still presenting a lengthy challenge. But with Rossland's elevation you should be able to pick up 20 or 30 extra yards. 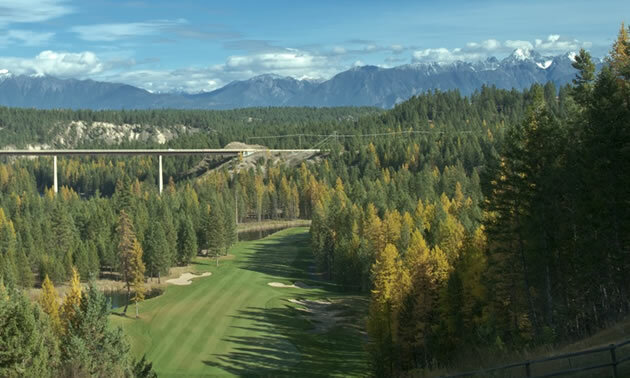 The third longest hole in the Kootenays. This golf is pretty much straight away with a bit of a bend off the tee box and some sand immediately to the right. The long narrow fairway squeezes into a small oval green. It's one of the golf holes where you can really let it rip! The first par 5 on the golf course that requires accuracy and discipline. This is a narrow golf hole with plenty of trouble to find along the right hand side, so play this hole conservatively and you will be rewarded. 3 wood tee shot recommended. This was for many years the longest golf hole in the Kootenays. 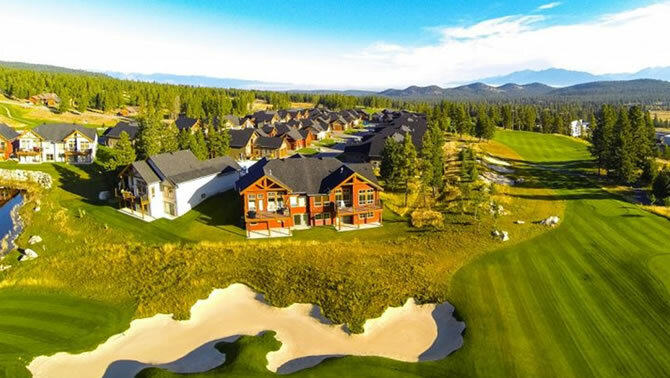 Mountainside was one of the region's original destination golf courses designed by renowned golf architect Doug Carrick. Hole #4 slopes down toward Columbia Lake but watch for a constant breeze off the water to hold up your drive a bit. 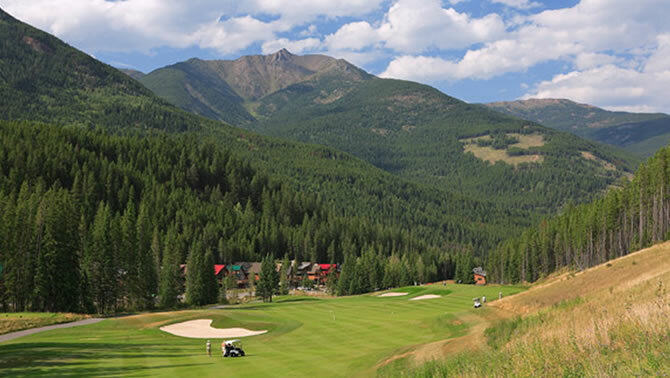 The longest hole at Greywolf requires golfers to make a tee shot down the right side toward the fairway bunkers. You need to keep your second shot to the right setting up an open pitch into the angled plateau green. The toughest par 5 on the golf course. Even the longest hitters will struggle to get home in 2 shots. It is possible to carry your drive over the corner, but it is not for the faint of heart. Avoid going to the right as the tree line is dangerously close. A fairway wood, or hybrid is the smart play off the tee. When hitting the approach shot pay attention to the pin position, as this thin green is at least 3 clubs long. You might just call number #14 the big bend on Riverside Golf Course. This Bill Nevis course was built in 1985 and winds its way around the serpentine head waters of the Columbia River. Number 14 hugs the river and it is tempting for big hitters to try to hit over the river though this is always fraught with danger. 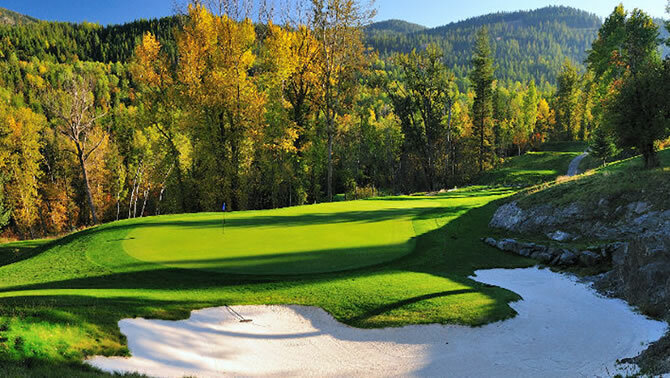 The second of two holes tied for the distinction of the 9th longest golf hole in the Kootenays. This long narrow fairway plays fair but the key as always is to keep it on the fairway slightly to left as you approach a tiny green tucked away at the end. 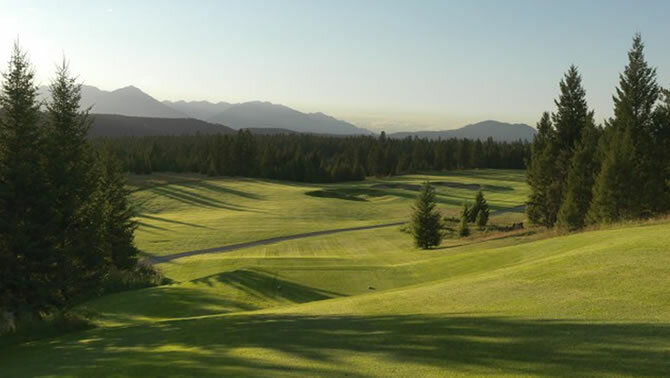 This long, long hole stretches out along the western edge of the Cranbrook Golf Course. It is pretty much straight away with a slight bend to the left and with houses on the right. Its long but very playable. Cranbrook is celebrating the 100th year of golf in the city in 2015 so hit it long for long time sake.